For centuries, The Major Arcana of the Tarot has fascinated and inspired. Its images have been reflected in art, literature, film and music. 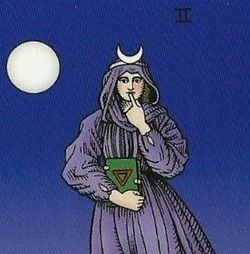 Each of these different reflections offers new and deepening insights into the wisdom contained in the cards. Moving from a basic understanding of the Tarot as a whole into an in-depth exploration of these 22 key cards, The Tarot Adept presents several varied paths of Major Arcana interpretation. Explore the Major Arcana as it relates to the the deep wisdoms of the Kabbala and its reflection in nature through stones, crystals, herbs and essential oils. Learn how to identify and work with the Court cards in day-to-day life. Activate the archetypes in a powerful Tarot ritual. This course is perfect for one who is already familiar with the Tarot and would like to take their understanding to a higher level.